The next few weeks bring new series starring John Malkovich, Lauren Cohan, Rob Lowe, Kal Penn, Anna Paquin, Steve Buscemi, and Elvis Mitchell. Now that the industry is past its beginning-of-the-year overviews (check out IndieWire’s Most Anticipated TV Shows of 2019), February is upon us. As the film world remains focused on last year in the lead up to the Oscars, there’s still plenty of new series on the TV side worthy of attention. As always seems to be the case when looking at the upcoming calendar for a given month, there is a wide range of offerings across streaming, broadcast, and cable. These also traverse different genres, covering both scripted and unscripted shows. Hercule Poirot has long been one of the iconic characters from mystery literature. To the long list of performers who’ve played Poirot on screen (which, yes, includes Jason Alexander), add John Malkovich, the latest to don the famed investigator’s facial hair. The three-part series, co-starring Rupert Grint, premiered in the UK back in December. Jim Hosking and Toby Harvard, the team behind the bizarre 2016 Sundance entry “The Greasy Strangler” head to TV for this show about two police officers who find much more than a calming, pre-retirement life. As evidenced by the clip above, some parts of their new job will involve being yelled at. Elvis Mitchell’s new series will feature industry-leading guests from the world of film. Among those joining Mitchell on episodes of this docuseries are Paul Feig, Sofia Coppola, Ryan Coogler and Guillermo del Toro. Legendary “Soul Train” host Don Cornelius gets his own biopic, charting the drama happening off-camera as the syndicated show became a national sensation. 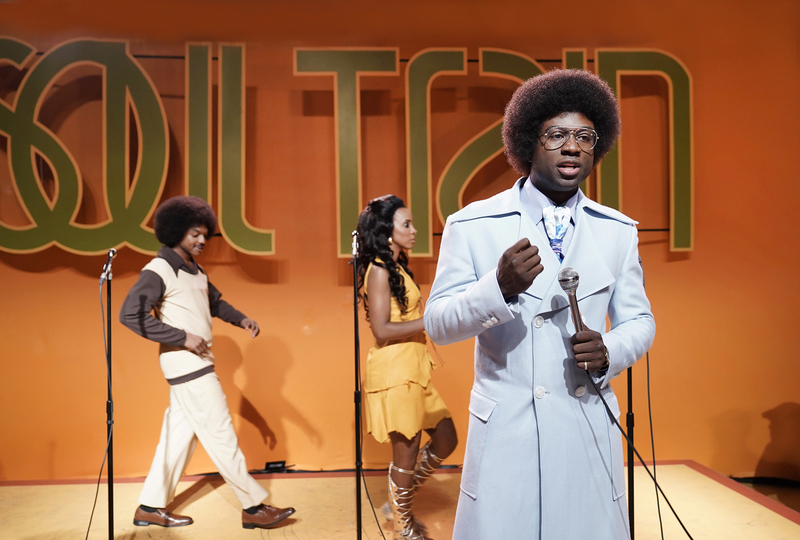 Sinqua Walls stars as Cornelius, while Kelly Rowland and Michelle Williams guest as Gladys Knight and Diana Ross, respectively. Co-creators Maya Erskine and Anna Konkle star as fictionalized versions of their middle-school selves in this Hulu comedy. Set in the year 2000, the rest of their on-screen classmates are all played by actual teenagers. It’s the latest addition to the Hulu comedy lineup, which will also add the Lindy West adaptation “Shrill” in March. 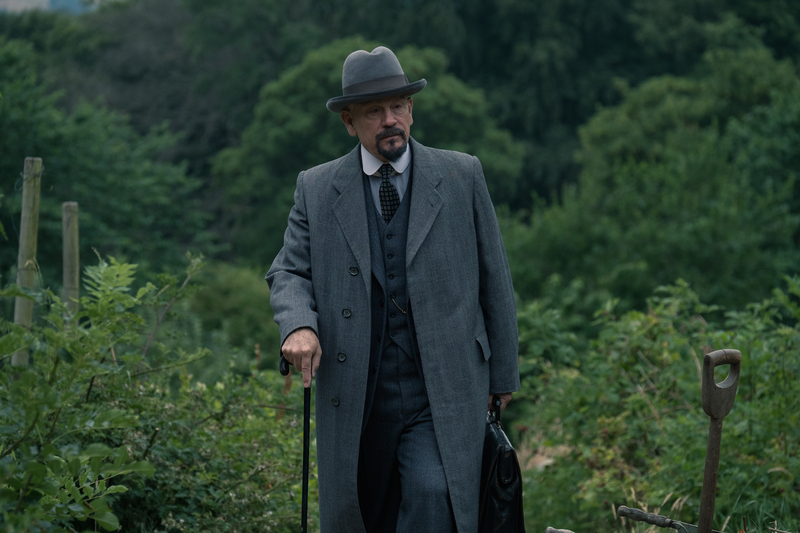 In a difficult month for Amazon series’ main characters, this British professor (John Simm) might have the toughest road of all. Looking into the mysterious death of his wife, he uncovers a far-reaching conspiracy that stretches from his home of London across continents to the streets of Hong Kong. Heaven becomes the venue for a workplace comedy in this series from “Man Seeking Woman” creator Simon Rich. 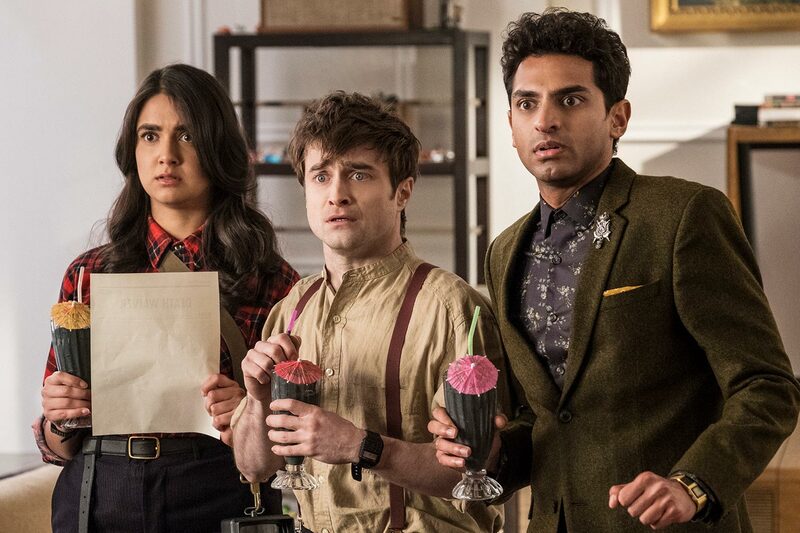 Daniel Radcliffe, Karan Soni, and Geraldine Viswanathan play angels just trying to prevent the end of the world, bringing their case to the only deity who can solve the problem: God (played by Steve Buscemi, naturally). Jordan Peele and former “Key & Peele” writer Charlie Sanders team up for this series set in the futuristic city of Weird. The anthology, which will take on modern discussions in a sci-fi framework, features a significant-sized ensemble, including LeVar Burton, Steven Yeun, Awkwafina, Mark Hamill, Rosario Dawson, Michael Cera, and Yvette Nicole Brown. This spinoff of “Titans” (coming very quickly after that show premiered last fall), expands the world by focusing on this team of DC superheroes. Robotman (Brendan Fraser), Negative Man (Matt Bomer), Crazy Jane (Diane Guerrero), Elasti-Woman (April Bowlby), and The Chief (Timothy Dalton) all get their chance to shine after they get a dangerous assignment from Cyborg (Joivan Wade). Lorena Bobbit became a staple of national headlines following a 1993 domestic incident involving her and her husband John. Director Joshua Rofé’s four-part series features interviews with central figures in the unfolding saga, also looking at the role the media played in perpetuating certain perceptions around domestic violence and sexual assault in this case and beyond. The #1 show in late night has a new home, with Desus Nice and The Kid Mero bringing their signature spin on the headlines of the day to Showtime primetime. In addition to their long-running hit podcast Bodega Boys, the pair previously hosted their own talk show on Viceland from fall 2016 through last June. This UK-set series follows a public relations fixer, getting her clients out of trouble throughout London. Starring Anna Paquin, the show also features performances from Bradley Whitford, Sophie Okonedo, and Genevieve Angelson. Kal Penn hosts this eight-part series about various corners of the current economic environment. Ranging from small-scale looks at specific products to wide-reaching ramifications of developing monetary policy, Penn speaks to a number of former and current colleagues from his time in both the entertainment industry and in national politics. 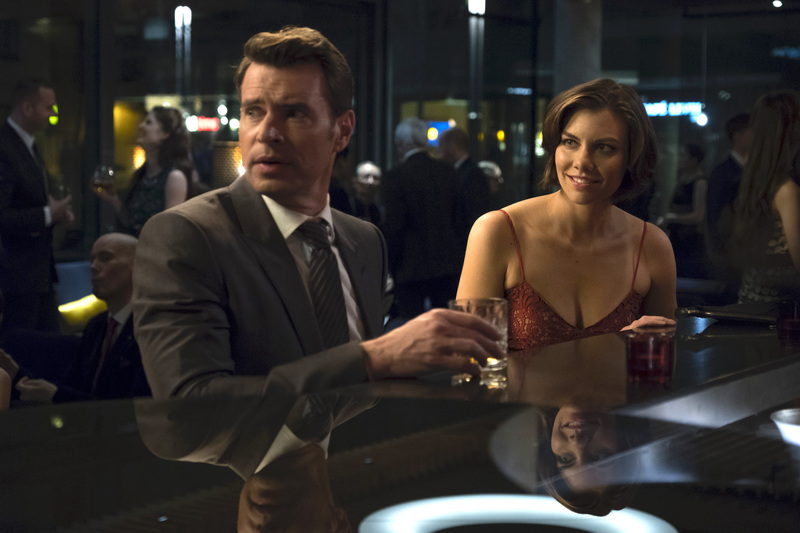 Following an FBI agent (Scott Foley) and a CIA operative (Lauren Cohan) who team up to avert global crises, the show also has a bit of a throwback spy feel. Mixing action and suspense (and maybe the occasional romance for good measure), the show co-stars Ana Ortiz, Tyler James Williams, and Josh Hopkins. Following in the long tradition of “criminal helps law enforcement” stories, this new drama puts a tiny spin on it by making its central character a former intelligence officer Erica Shepherd (Jessica Carpenter) serving life in prison on a treason charge. With another high-value target on the loose, an FBI agent (Morris Chestnut) looks to Shepherd for help. This new Rob Lowe-hosted game show is basically one of those brain-engagement apps come to life, bombarding contestants with tests of memory and puzzle-solving. The biggest catch? Rather than standing on solid ground, these players may have to answer these specific challenges in a massive, rotating chamber.